As an accompaniment to fish or meat there is our Tian provençal (Vegetable gratiné). Alternatively you could add rice or pasta layers to the vegetables and you have a complete meal. For those who don’t like veggies try and find different ways to prepare them. For example, instead of just serving up green beans boiled in water, try our Green beans with soy sauce. It does get a bit repetitive but it is a very economic way to eat meat. Use mince, including turkey mince, to make burgers, bolognaise, hachis parmentier (French shepherds’ pie), chilli con carne and more. Pork cuts tend to be the cheapest so you will see a lot on this blog. My favourite pork recipes are roast pork in white wine (see above), pulled pork in the slow cooker and gammon with cider and mustard. Chicken – drumsticks and thighs being the cheapest. I especially like cheeky chicken coq au vin and chicken strips with sage. Braising steak/stewing steak. This is a great one for the slow cooker (see below), our Beef & guinness pie and paleron aux carottes (beef stew) go down well every time in our house. In France families eat the same food, at the same time. Whilst in the UK most children eat “tea” around 5pm, and parents eat a different “dinner” at around 8pm. Whether you eat at the same time or not, eating the same meal is a massive time-saver as well as being good for the pennies. Just reheat for those eating later. If you’ve got fussy eaters, keep offering a variety of meals and your kids will end up eating the strange adult food! I’ve been astounded watching the children I childmind go from refusing most things, to eating pretty much everything. Just persevere if you can bear it. How many times do you see “buy 3 for £10” or “buy one, second one half price”? There are deals like this all the time. Use your freezer wisely and grab these cheap deals. If you buy pieces of meat (drumsticks, chops etc) take them out of the big pack, wrap them individually in clingfilm, and freeze these smaller amounts to save freezer space. We bought our Cookworks slow cooker from Argos for just £19.99, which I actually bought with nectar points 🙂 Why is a slow cooker good for saving you money? They are perfect for cheap cuts of meat for the same reason – you can make a mean boeuf bourguignon in them! Et voilà! Those are our top tips for feeding your family cheaply. How do you eat thriftily? What are your top tips? Do share in the comments below! A whole chicken is fabulous for ekeing out the pennies. Roast, curried, risotto, then the carcass used for soup. Leftover cooked veg (especially roast potatoes!) are a great base for soup. Leftovers are such a great thrifty tip, growing up we ate more leftovers than actual meals I think! It’s definitely getting on for slow cooker time now…. Leftovers are just the best, we do an awful lot with leftovers here! So glad to have your blog. It looks like my one stop shop for all French cooking.I have never tried a French stew but will be doing so very soon. Great tips on saving money and eating healthy too at the same time. 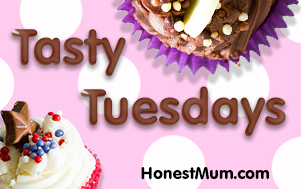 Fussy eaters definitely make life harder! Hopefully it is just a phase and doesn’t last…. Some great tips here, lovely. I agree about the veg. They are so versatile and tasty. Your stuffed veg look yummy. As for your point about eating the same thing. Gosh yes! If the kiddoes want a restaurant life, they’ll have to wait until they can afford it!